Sam didn’t just enjoy football – he lived it and he was good at it, too. His dream was go to on and play football for the OU Sooners and eventually to the NFL. When he first attended Summer Pride practice at the high school in 2016, the coaches were excited to see Sam’s work ethic and ability. The coaches started talking to his dad about how excited they were that Sam would be playing for them soon. However, they didn’t realize at that time, Sam was only in 6th grade and would have another year before joining the Plainsmen. 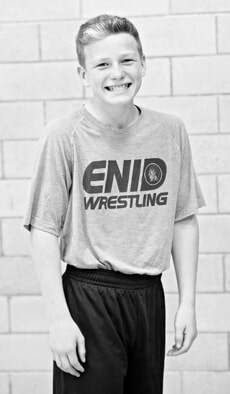 When Sam first started playing for the Enid Plainsmen, he attended the first out-of-town scrimmage. His mom, Brandi, attended and cheered her son on with others moms who attended. After the scrimmage, as all of the other football players started loading up on the bus, Sam began running across the field to give his mom a hug and a kiss. 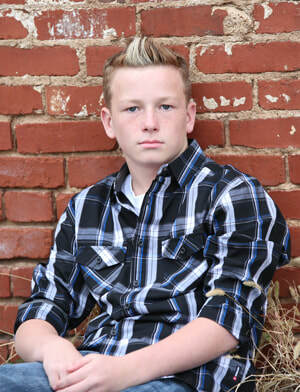 Brandi holds this memory fondly, of her sweet son who cared about his parents and was so caring to others. Sam wasn’t your typical teenage boy. He loved to help people, too. He was quick to help strangers who were struggling or needed help. 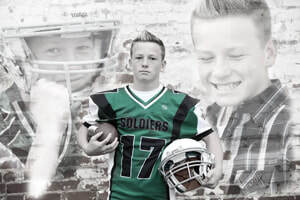 His family still receives calls from people who praise Sam for stopping bullying or helping a member of the opposite football team up after they were injured. Just before Memorial Day, he and his father went out to the local cemetery to lay flowers on their loved ones’ graves. Because of a windstorm, American flags had fallen over and were laying in front of veterans graves. Sam took notice, and on his own initiative went to fix every flag that had fallen down in the cemetery. Sam always did the right thing, whether others were looking or not. His sister Mackenzie, would often tease him about this, but she was very proud of her brother and loved him immensely. Sam was a young man full of integrity and had a good outlook on life. In October of 2017, Sam’s life was tragically taken, and despite the best efforts of the medical staff, he was unable to overcome his injuries. 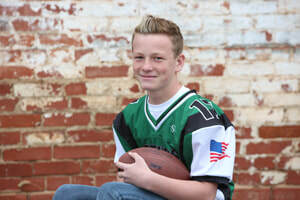 The family was approached by LifeShare, who asked if they wanted Sam to save lives as an organ and tissue donor. “It was the easiest decision we made, because we knew Sam would make it too,” Brandi said. Hospital staff, LifeShare staff, friends and family of Sam joined together for a Donate Life flag ceremony to honor him for his gifts that saved four and enhanced more than 75 other lives. Together, they shared part of Sam’s heart and passion for life that now lives on in others. Across the United States, more than 115,000 individuals wait for an organ transplant to save their life. Thousands more are in need of tissue and corneal transplants to restore mobility and sight. Without the generous gift of more than 30,000 donors in the United States each year, many would still be waiting for a lifesaving gift. This April, LifeShare is honoring those who have given the gift of life by celebrating National Donate Life Month. You can give the gift of life by registering to be an organ, eye and tissue donor at www.LifeShareRegistry.org.